For all the advances in Chinese society achieved since the start of the economic reform process in 1979, there has been limited progress in the area of healthcare provision. Life expectancy has improved and leading hospitals may be better equipped than before in some cases they own modern equipment which would be the envy of Western hospitals. But in terms of medical insurance coverage and primary healthcare, for example, there are chronic deficiencies in the system. Indeed, the relative decline of state enterprises in recent years has removed huge numbers of people from the healthcare protection granted to government workers and their families. 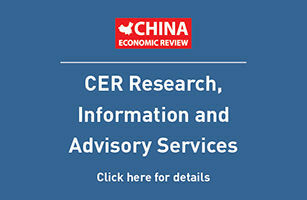 Ms Roberta Lipson, President and Chief Execu 'Live Officer of the US-listed company Chindex, estimates that fewer than one in five of the Chinese population is now covered financially by the state healthcare programme ?limited to those households containing family members working for government organisations and large state enterprises. "If you are a farmer, an entrepreneur or unemployed, you are out of the system," she says. The green light given to accelerating reform of state-owned enterprises at the recent Party Congress will remove even more people from the safety net. Chinese healthcare reform is a massive undertaking, wrapped up in the whole programme of welfare reform. The government has taken some tentative steps towards change, such as providing seed money for the creation of neighbourhood clinics. More radical initiatives, especially ones involving foreign participation in the running of hospitals as opposed to just providing drugs and equipment, have been resisted. However two Sino-foreign joint venture private hospitals in Beijing have been given official approval which, if deemed successful, could precipitate nationwide reform. In both cases, payment is on a fee-forservice basis, as in the US. The Chinese government is understand-ably wary about the prospect of foreign companies treating Chinese patients, let alone making money out of them. How-ever, it was inevitable that private hospitals would eventually emerge in a country where money can now buy al-most anything and equally inevitable that foreign companies experienced in providing modern medical treatment would be involved in some capacity. United Family Hospital in the north-east of the city offers primary healthcare along with obstetrics, gynaecology and paediatric services. Another building is to be built nearby for dental care and radiology. In addition, a series of satellite clinics will be opened in different parts of Beijing, treating mostly Chinese patients. The new hospital is a joint venture, 90 per cent owned by Chindex, 10 per cent by the Chinese Academy of Medical Sciences. More than US$3m has al-ready been spent on capital equipment. The academy's role has been to provide support when necessary ?the management is controlled by Chindex. Officials from the Ministry of Public Health have also played a crucial role in the creation of the hospital. "This is a dream come true," says a leading official from the Beijing Health Bureau. "The presence of a quality hospital such as this will only help to raise the service level of other hospitals in the city." This is not to say that establishing the venture has been plain sailing. A total of 20 licences from different authorities needed to be secured, in addition to the permits to build and the approval to establish a joint venture. "This is the most difficult thing I have ever done," admits Lipson. The result seems to have been worth all the effort. Visitors are received in a spacious reception area and the entire hospital is well equipped and spotlessly clean, similar to any private hospital in the West. The first floor is for outpatients, the second floor for in-patients. Currently, it contains two operating theatres and is staffed by the equivalent of 60 full-time employees. Floors three to five will probably be open in two years, when there will be 80-100 beds. Chindex is convinced of the huge latent demand for private healthcare in China, especially for higher-end treatment and a different approach to patient care. The company has been providing the technology and equipment necessary to up-grade the healthcare system for 17 years. In 1996 it secured preferential funding from Eximbank of the US for the export of medical equipment to China's Minis-try of Public Health. So far, most foreign investment in this market has been in the area of high-technology equipment. However, its market research showed that the next top requirement was in the area of primary healthcare. Chindex decided to focus on primary healthcare and related areas such as paediatrics because these are areas where there are big shortcomings in the Chinese system. "China has many specialists but almost no generalists," says Lipson. The system of primary healthcare provision in China is also in-efficient and impersonal. Instead of seeing a general practitioner, a local Chinese who falls ill goes directly to the local hospital, no matter how trivial the ailment turns out to be. Moreover they consult with a doctor who in all likelihood they have never seen before or are likely to again. In Beijing, where there are so many foreign diplomats and company representatives, the emphasis is on expatriates. Early indications show that 80 per cent of clients are foreigners and 20 per cent local. The medium-term aim is to attract 25-30 per cent of local clients. There are overseas-managed clinics and emergency assistance companies but nothing which might make an expatriate comfortable about, say, having a blood trans-fusion or a baby, let alone complicated surgery. However, Chindex's longer-term ambition is to target the growing demand for private healthcare among the Chinese population. With this in mind, it has an ambitious goal to open five more hospitals in China over the next five years. Locations are being analysed and the target areas will be cities with high individual incomes. On a somewhat larger scale is the Sino-Canadian Beijing Toronto International Hospital (BTIH), to be located to the south of the city at the entrance to the Beijing Development Authority zone. Being close to the expressway linking Beijing and Tianjin, the hospital hopes to have a catchment area encompassing both these cities. tion of major cardiological and neurological surgery. By the time phase two is completed by end-2000, the total area will be 30,000 sq metres and investment will be US$100m. The full range of primary, secondary and tertiary services will be offered in this 250-bed facility. A satellite link to Toronto will enable the hospital's doctors to consult with Canadian specialists. A third phase, costing an additional US$30m, will involve the creation of a pharmaceutical research centre and nurse training college. In addition to these facilities in Beijing, the joint venture is opening referral centres in eight leading cities across China each costing US$4m-5m. The Canadian company InterHealth Canada (China) Inc. is taking a 51 per cent stake in the joint venture, backed by loans from Dutch bank Rabobank. The Chinese partners are Beijing Comprehensive Investment and China National Medical Equipment Import and Ex-port. The Chinese authorities have designated BTIH as a model hospital. The Ministry of Public Health will study the hospital once operational, with a view to evaluating its own healthcare services. InterHealth Canada (China) has experience in establishing hospitals in developing countries, but company President Peter Bruijns says it was InterHealth's commitment to help develop China's healthcare system that was crucial to winning the licence. The Canadian government has lent strong support to this project, and 50-60 Canadians will go to Beijing to manage this facility on a long-term basis. Ultimately, the hospital will employ nearly 1,000 staff. BTIH has received the approval of Moftec, the Ministry of Public Health and the municipal government. "Moftec was perhaps the stickiest [in terms of getting approval]," says Bruijns, adding that the health ministry was looking mostly at the benefits to China. BTIH estimates that half its clients are likely to be expatriates and half local Chinese, and it is committed to maintaining a 50:50 ratio. Studies undertaken by KPMG and Price Waterhouse indicate that there is plenty of expatriate demand for top quality healthcare in China and little sign of an erosion in their numbers despite the stated desire of multinationals to localise positions within the shortest possible timeframe. As for the locals, a recent Gallup survey into spending patterns revealed thathealth was third on the list of purchase preferences ?behind only education and consumer products. "We know the Chinese take healthcare very seriously," says Bruijns. InterHealth Canada's confidence is backed up by the considerable research it has conducted into projected spending. However, it is also possible to see the market potential just by analysing what some leading Chinese hospitals are charging patients for 'extra services'. "Some Chinese are already paying Western-level prices," he adds. Getting quality people is one of the major challenges facing both hospitals ?especially the right mix of local and foreign physicians, and ensuring that all medical staff have spent time outside China and are therefore exposed to international standards and practices. Lipson says finding people who share the same objectives is the key: "When you find people with the same goal, they are totally committed." Bringing in staff and equipment from overseas is an expensive exercise but Lipson says that lower local labour costs should compensate. Beijing United Family Hospital hopes to be making a profit by the end of 1998. All this market and profit potential is attracting foreign healthcare companies in droves. Over recent years Bruijns estimates that more than 100 hospital proposals have been submitted to the ministry, including 20 over the past couple of months. Several claim to be setting up facilities without having already se-cured the all-important licence. The Chinese government is unwilling to throw the sector open to foreign par-ties. As a consequence, new rules have been published which limit the future involvement of foreign parties in healthcare joint ventures. From now on, they must hold less than 50 per cent of the equity, although there is a clause which allows for a holding of up to 70 per cent in 'special situations'. Future investors will probably be deterred by the prospect of taking a minority stake ?it is doubtful whether the two foreign investments so far approved would have gone ahead on such a basis. In the short-term, Bruijns con-cedes that the new regulations give those with licences something of a head start, but he adds: "The market is so large that should anyone else come in, there is plenty of business to go around."